After one of the fires burning down the wooden church at the site of Salzburg Cathedral, archbishop von Raitenau ordered to build a new stone one. 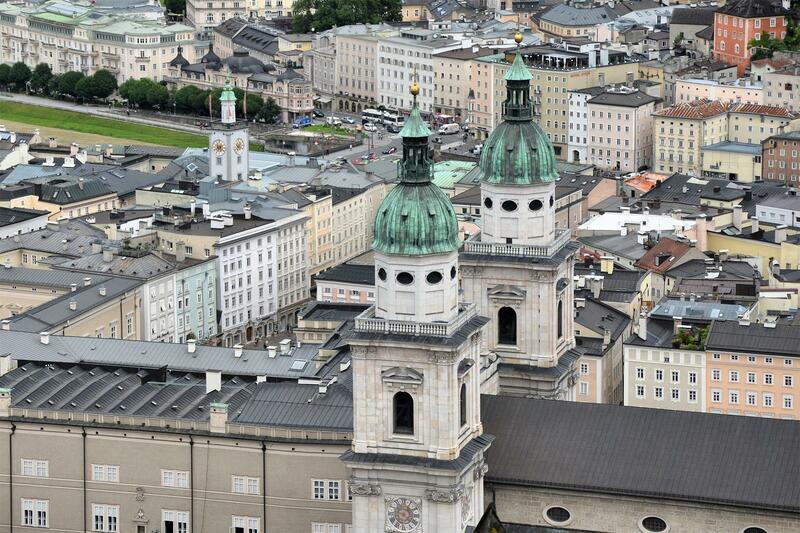 It was later consecrated in honour of Rupert and Vergilius of Salzburg in 1628. Its high towers were completed later in 1655.